The Museum of SuperNatural History™: Giant Reptile, Giant Moth, Giant Robot - Is Giant Jellyfish Invasion A Surprise To Anyone In Tokyo? Giant Reptile, Giant Moth, Giant Robot - Is Giant Jellyfish Invasion A Surprise To Anyone In Tokyo? 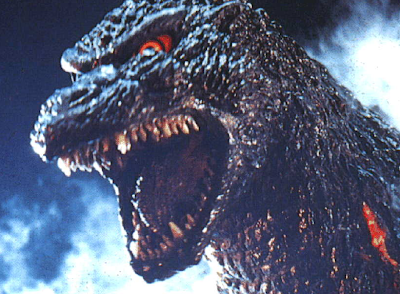 Of course, seeing as how Tokyo has in the past been a magnet for Giant Reptile attacks, Giant Moth (summoned by a pair of minute Japanese pop-stars) Attacks, and Giant Robot attacks, one wonders if anyone on the island nation is surprised by the fact that a “Giant Something-Or-Other” is pondering an impending invasion? As a precaution, citizens of Japan are being encouraged to avoid the nation’s thousands of miles of coastline - similarly, the staff here at the Museum are planning an to order in sushi, before the impact on the fishing industry is felt.